TEP 2016 Chronicle – A.R.C.A.D.E. We are back with a new chronicle of the Spanish Pinball Tournament, in this case edition nº 16; The TEP 2016. Inescapable appointment for any lover of the pinballs. As in the last 14 editions is celebrated in the beautiful town of Arnedo, on 30 and 31 June. This edition we have attended 3 partners of A.R.C.A.D.E. And 2 pinball fans more than the friends of Retromaniacs, as well as enthusiastic pinball enthusiasts from across the peninsula. 32 participants in total. On Friday 29 Javier “Inderman” and his henchmen worked hard on Basi’s ship, finalizing the preparations for the tournament; Adjusting the machines, giving them the affection that they deserve so that in the tournament they did not give us the can. We finished the day with a nice dinner and drinks between friends and those talks of bundles that we miss so much all the year. On Saturday 30th, breakfast was complete to start the day loaded with energy, and at 10am in the morning we were called in the place of the tournament. Javier “Inderman” with very good humor gave us the guidelines of the tournament to the new ones and he updated us of the modifications of the system of the tournament to which we had already gone. In this occasion the classification for next round was made by hi-score; A game on each machine awarded points according to the position in which you would stay with respect to the results of the other participants. In the morning we played the special classics tournament PETACO; Each participant had to play a game in 14 classic pinballs; Such as Petaco, Twin Gain, Torpedo, Stripping Funny, Mr. Evil, Don Quixote, Crazy Race, Tasty Samba, Top Racer, The Flipper Game, Lucky Smile, Master Stroke, Space Race and Up Away. Tomorrow distended among electromechanics who do not passionate and despair equally with their peculiar game. To pass of round proved to be quite difficult because only 10 players were classified. 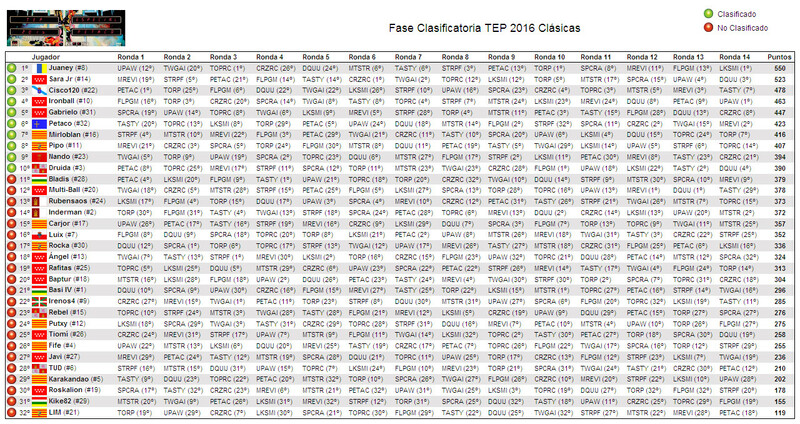 Then the table of Qualifiers of the tournament of classics with the ranking and all the positions by machine. At launch we went to “La Oficina” where the good food is tradition, beer and good talks of what he gave of if the morning were in everyone’s mouth. A magical day, alternating championship matches with other vices in the machines that were in free play; Such as Circus Voltaire, Grand Prix (Stern), Space Shuttle, Tommy and other pinballs. Sunday 9 was the day of the playoffs and finals; As well as the minitorneos: they went to play to the Addams Family Gold in pairs (one in each button) that the pair formed by Juaney and Cisco won. A curious mini-tournament “the next will be even better” that was played in the Torpedo to 3 balls, which had to exceed in each ball the score of the previous ball; This one also took Juaney. And the children’s tournament “Stalling” that won Irene, Miguel’s daughter (Tiomi) that surprised us all with a magnificent score of about 34 million in the fun and colorful Monster Bash. There was also a video tournament that, as is tradition, won the good Pipo. 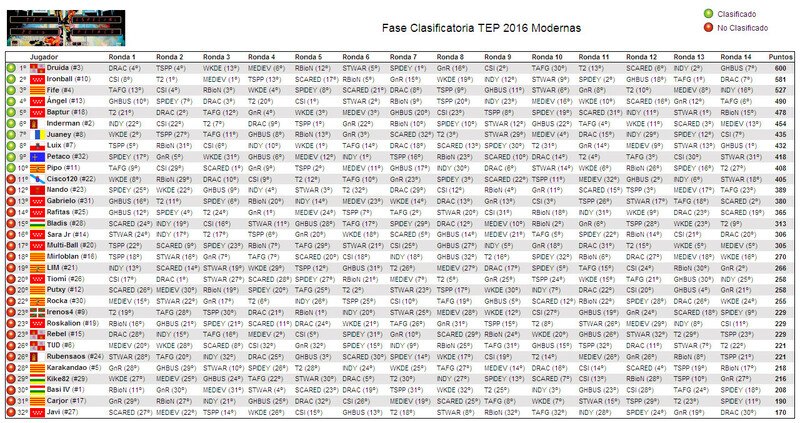 The elimination system of this tournament promised excitement until the last round, because in modern as in classic the 10 classified played a game in a machine and the one that obtained lower score … Eliminated! And on and on until two were left. Here, a bad game penalized a lot. In classics were classified for the final Ironball and Petaco, in which did not need the third tiebreaker. Ironball champion of the classic tournament! The big Cisco de Monforte was in third place. In this case Angel and Fife, partner of A.R.C.A.D.E., fought to take the trophy of the main competition in the Dracula and in the Scared Stiff. It fills me with pride and satisfaction to tell you that the trophy came home. And to think that about a year ago I treated Fife madly for telling me that I would win a tournament this year … I love that I close my mouth with such a deed. Bravo Fife! Another simultaneous tournament was disputed to the principal. The good Pinballhouse challenged us to perform between 3 and 10 games in their two Stern, Ghostbusters and The Walking Dead, obtaining as a score the average of the three best games. Come on, the two machines did not stop for a moment. Their lights hypnotize us, we feel their sound and we drool with their arts. Many thanks to Inderman for his effort, dedication and patience to assemble, coordinate and lead this fantastic tournament. Patience and kindness Basi that year after year opens the doors of your ship so that we can delight with its enviable collection. Thanks also to the scorers and repair technicians that without them would not be possible either. And finally thank all the attendees for the good atmosphere of pinball that, I will never tire be stressed, reigned throughout the weekend.